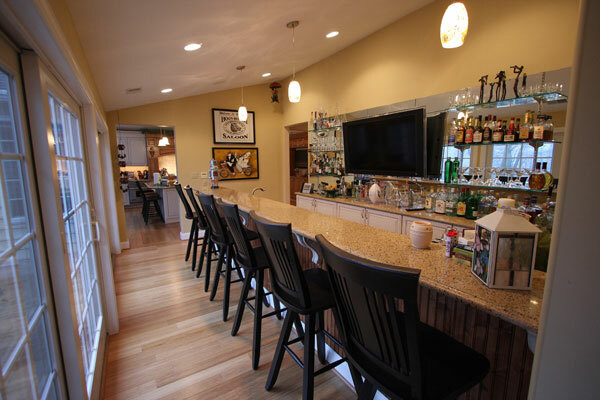 This custom bar in Malvern, PA was part of a large home addition, and focused on using energy efficient and eco-friendly materials and appliances. 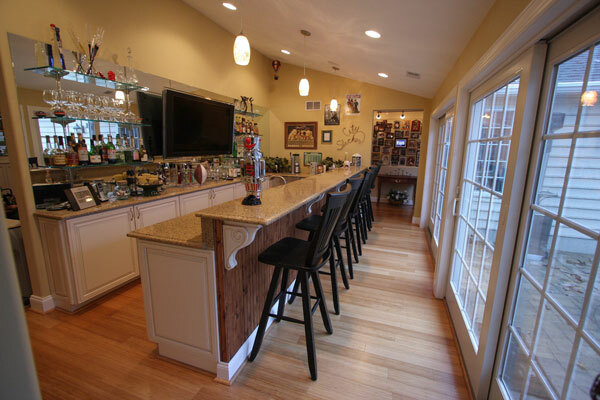 The two level granite counters have a decorative ogee edge, the flooring is renewable bamboo plank flooring. 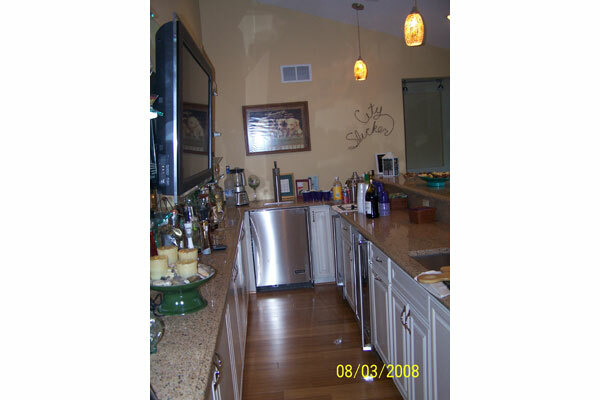 Viking appliances (dishwasher , wine refrigerator, and icemaker) and a Beer Meister make for a fun and functional home bar. We had a first floor master suite added to our house, including an addition for the master bedroom. All work by both the contractor and his subs was excellent, everyone was friendly and courteous, and the job was completed in a timely fashion. John helped us with the selection of floors, fixtures, tile, etc. at the appropriate times during construction and easily accommodated a couple of upgrades we chose. Everyone made an effort to keep dirt and debris out of the rest of the house. We are very happy with the new suite and feel that the price was appropriate for the work done.